Matt Irwin has resigned from the position of Presque Isle police chief in order to focus on his campaign for Aroostook County Sheriff. PRESQUE ISLE, Maine — Matt Irwin has resigned from the position of Presque Isle police chief in order to focus on his campaign for Aroostook County Sheriff. 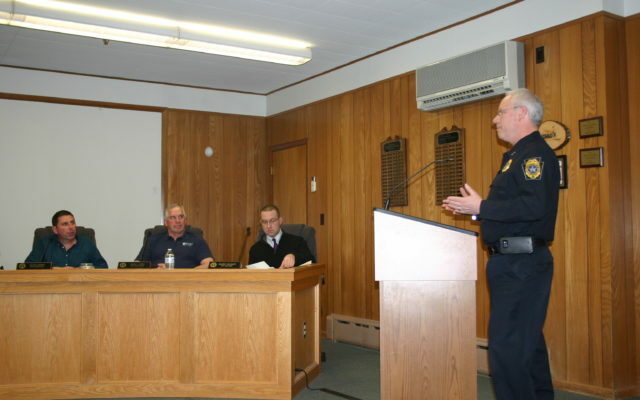 Irwin resigned as chief of the Presque Isle Police Department effective Tuesday, after consulting with the city manager, Irwin said Wednesday. Irwin, who is running for Aroostook County Sheriff against acting sheriff Shawn Gillen of Blaine, said he wanted to step down so he could focus on issues in the campaign, such as regional coordination of public safety and management of the Aroostook County jail. Irwin was hired as Presque Isle Police Chief in 2011, after spending 27 years in law enforcement in Florida with the Orange County Sheriff’s Office.